It's Nintendo Download Update time, North America, and this week serves up plenty of new and old games on 3DS, alongside some discounts, as well as a lot of 16-bit fighting on the Wii U. Let's get right to the details. The Wii U Virtual Console is offering up three versions of Street Fighter II this week, along with a special promotion. If you buy one of these games you can pick up either one or both of the others with a 50% discount; the offer is valid until 29th August. 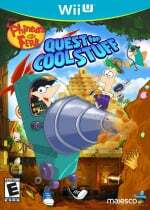 Phineas and Ferb: Quest for Cool Stuff (Majesco Entertainment, $TBC) — Available from 27th August. Wakedas (CIRCLE Entertainment, $2.99) — Not all puzzles need tight time limits or to have dramatic countdowns, as this budget effort shows. A little like a flat Rubik's Cube, this colour tile-sorting concept is executed well and provides some enjoyable puzzling. It's lacking in features, but at this price point and with plenty of content in the core package this is certainly worth considering, as explained in our Wakedas review. Funfair Party Games (Joindots, $19.99) — With 11 attractions and Mii support, this one joins the list of titles targeting the minigame market on the eShop; both single and multiplayer are included. It'll also include motion controls for some games, and we'll see whether its worth buying some tickets in our review. Fish On 3D (Agetec, $9.99) — Fishing has always been a surprisingly persistent genre on Nintendo's download services, and Agetec weighs in with a release that aims to offer modes to satisfy both sim and action fishing fans. There's even some StreetPass functionality thrown in, so we'll dig out our waders and give this a go. Ninja Gaiden II: The Dark Sword of Chaos (TECMO KOEI GAMES, $4.99) — The second part of the NES series that — in all likelihood — left young gamers curled up in a ball muttering "game over" repeatedly, it now arrives on the 3DS Virtual Console with all important save state functionality. While it is fiendishly difficult, it's also a fun action platformer that arguably brings notable improvements over the original with switched up moves and power ups. We'll summon our inner-Ninja for a review soon. Zero Escape: Virtue's Last Reward (Aksys, $24.99) — This excellent title has been on the market for nearly a year, but finally makes its way to the eShop. It's an involving, unique experience that's well worth consideration, and you can learn all about it in our review. Phineas and Ferb: Quest for Cool Stuff (Majesco Entertainment, $29.99) — Available from 27th August. So that's another week of updates confirmed. Let us know what you're planning to download in the comments and poll below. I'll take Ninja Gaiden 2 and Super Street Fighter 2 thank you! Good week for an update. Capcom has "no plans for Street Fighter on the Wii U", huh? I'm picking up the Street Fighter 2 "Bundle" - I like to support Nintendo when they do the launch discounts for VC titles. I've never played any Street Fighter games before and am anxious to see what the hype is about - I hear SF2 is a classic. Also...Could we just get Mega Man 7, X2, X3, Xtreme, and Xtreme 2 already? I'm saving my money for Summer Carnival '92 RECCA. I have $5 eShop credit from the Wii U Digital Deluxe promotion just for it. I already bought Rayman Origins in Wii, PS3 and Vita, I'll give a try to the 3DS version even it's low quality compared to the others. I'm getting SSFII for $1.50 and then buying SFII Turbo: Hyper Fighting for 50% off. Discounted updates + Sale prices = WIN!!! Would have been a good week for a Pokemon Rumble U demo. My kids played the Wii demo for dozens of hours before we bought them the game (pre-allowance days, they'll be ponying up for Rumble U next Thurs.) Game and Wario could use demo as well, it's in Gamestop so I know it exists. Annoying somewhat related Wii U thought for the day - I have a 32GB Wii U but my Wii-mode storage is still only 537 free blocks? I still have to play the swap-game with all my VC and Wiiware? How rude. I didn't realize how many games I had actually purchased but not played in awhile b/c they didn't fit until the transfer told me. I would have DL'd them all and played them if I had more space. Still waiting on ANYTHING from the Zelda franchise on the Virtual Console. At this point I might even take the Adventures of Link. What is it with Nintendo, it's one of the top two franchises and they don't want to make money off of it? ...Whelp, looks like I'm going to buy yet another version of Street Fighter! I'm gonna have to pass for now due to a lack of funds, but as soon as possible I'm downloading Street Fighter II Turbo: Hyper Fighting because that's the only iteration of the three SF2's I haven't played yet. since I don't own a 3DS their isn't much for me there. @Luigifan141: That's what I thought but I think they were talking about new additions to the series. Zero Escape is awfully tempting but I want to play 999 first! @gaby_gabito thanks - I just finished the story mode of Injustice last night. 5 hours and 20 minutes to get through something I bought several months ago - I guess I can only handle so much of a fighting game at a time - really enjoyed it though! Where is dungeons and dragons !!!!???? @tchaten I don't own a 3DS, don't want one either. There are no Zelda games on VC for Wii U... not a single one. As something of a series noob whose only played the 3DS version of IV, which version of Street Fighter would be the best choice? And Recca? They released that trailer yesterday that got me all excited and then... nothing. Yeah, I know it was from Nintendo of Europe... but still. @tchaten Nah, I've never bought anything on the Wii even when I had a Wii (gave it to my sister). Not gonna start now, I'll just wait. I'm just surprised that I'm waiting so long for such a big franchise. But I just bought Skyward Sword to at least keep me busy till WWHD. I know the rumors, but it was speculation from a video which was probably thrown together by their marketing from the SNES or Wii VC. No Giana Sisters for North America?? Massive list of games.... still with more than 60% saying nothing for me this week. Ouch. I'll pick up Ninja Gaiden 2 down the road, but gotcha catch up on my eshop downloads first. Too many unplayed still sitting on the 3DS. Does anyone know if this version of Super Street Fighter II includes a Turbo mode? I remember that for the PC, Super Street Fighter II Turbo was its own entity, and I'm not going to buy this game if it doesn't have Turbo. @edcomics It does not. I read the review on NL just 30 secs ago. @Salnax The SF: The New Challengers is your best bet in my opinion. @Zodiak13 Yeah, I see that now. It's a real shame. I just can't justify buying this game without Akuma and the Turbo mode. I'd really like to have a copy of SSF2T somehow, even for the 3DS or something. @Tasuki Yeah, but you know Capcom. The fact that they most likely planned out out the three Street Fighter II games for the Wii U before they made that statement contradicts themselves, regardless if it meant a new Street Fighter game or not. 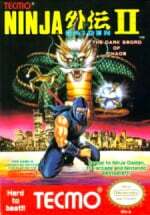 Ninja Gaiden II for me this week. I'm proud to say I actually beat the original for the first time in my life just a couple of weeks ago. I did not have the patience growing up to see it through. Anyone who likes a challenge should get 1 and 2. Actually it does have turbo. On the title screen hit left or right. You'll see some stars pop up. The more stars, the more turbo it is. @SmaMan Ahh, I see now. Thanks. Yes for Zero, couldn't find it anywhere and I DL all my 3ds games now anyway. Cool! Street Fighter and Ninja Gaiden. Man, I need to get a couple of those Ubisoft games on sale before it's too late. @Captain_Gonru - I have a 4GB in there now that I used for the Wii to Wii U transfer, but you still need to keep that free space in the actual Wii storage and load off the card, yes? I'll try it again later before I say more. I would have gladly given up 2GB of WiiU space for Wiiware and VC though. Oh, funny thing, I only did the transfer to get my 200 points over to buy Trine 2. Don't know why 200 points couldn't transfer to $1.99 in eShop. What's the point in having a Nintendo NETWORK ID if there isn't any actual networking going on? Wouldn't happen to know any thing to spend 200 points on in the Wii would you? Zero escape! I'm so happy! Thinking of getting Virtue's Last Reward but not sure I will like it since I never played the first one. I prefer SSF II: Turbo but might pick up Super SSF II at 50% to support Capcom and VC sales. .
@rjejr I believe Mega Man 9 and 10, as well as those Bust-A-Move and Bubble Bobble remakes have some DLC that's 200 points, and that's all I can really think of. Noboy will buy 3 SFII, only the people will get SSFII (without online enabled because it isn´t the Genesis version). @edcomics: Super Street Fighter II has a 3 star turbo or speed select option on the title screen buy pressing right 1, 2, or 3 times. Zero Escape 5%? C'mon North America, buy this game! @Fast_45er that would be awesome! Ninja Gaiden 2 and nothing else. I was hoping for more than 1 NES VC game for the 3DS this week. Still waiting for Summer Carnival '92 RECCA, Star Soldier, Solomon's Key, and River City Ransom. At least we have a NES VC game EU doesn't for once. It's cool we finally got the street fighter games but of course they should have been there day one and added in online multilayer and leader boards. THAT would be worth $8 bucks each! I don't like to complain but I'm just saying, Capcom you need to step it up man. Another week, another fishing game. Does the DL version of VLR have the game crashing bug patched? Is nobody happy about ssf? @NINTENBOY To be fair to Capcom, how many other VC games by Nintendo or other companies add leaderboards or online play? Capcom is far from alone on this one. Sega is probably the most ambitious company when it comes to adding new features to their VC ports. What is the difference between the three Street Fighters? I might get virtues last reward. @element187 Characters, tweaks in physics and gameplay, and updated graphics. Super Street Fighter 2 is the best version to get. Virtues Last Reward is an excellent game as well. You'll enjoy it. @element187: Don't listen to @Rafie (I'm joking), get Street Fighter II: Turbo, it's the best SNES SFII version in my opinion. @One-Winged-Pit: Ninja Gaiden 3 is on the Wii VC. I'm gonna buy Ninja Gaiden now since their releasing the sequels on 3DS too. Still nothing. Oh well, guess I'll take Ninja Gaiden. I know, right!? I went to download La Mulana on WiiWare the other day (HIGHLY RECOMMEND THAT GAME) hoping the Wii Mode would take advantage of all the storage available on the Wii U, but it's still limited to that measly 512MB. Why the heck is the Wii treated like the barsteward slave child of the Wii U's system? Why can't it use some of the 32GB storage and the games I've downloaded be right there on the main screen? Furthermore, how come I can rearrange the layout of my WiiWare/VC games in Wii mode, but I can't move crap around on the Wii U's screen? Bass ackwards, Nintendo. I think Wario land 3 comes out next week, will get. @Ryno Oh it is? Then I might get it when I get some points. VRL is well worth those $25. VLR for $25 is a steal. By far one of the best games on the system. Definitely looking forward to getting Ninja Gaiden 2 soon. No, "Street Fighter II Turbo" has turbo with the stars. But this game, "SUPER Street Fighter II", does not. There was actually a SUPER Street Fighter II Turbo game, but it never came to the SNES. I believe that is the game he/she is referring to. @JaxonH: You can adjust some speed in Super Street Fighter II by pressing right on the title screen. Street Fighter II was released first, then Street Fighter II Turbo was released, and then SUPER Street Fighter II was released last out of the three. Street Fighter II is the most basic, and the pace of gameplay is noticeably slow for a fighter (was fine at the time, but games have sped up since the 90s). It has 8 playable characters if I'm not mistaken. The most primitive of the three, but a true classic and the core game that made the franchise world-famous. Street Fighter II Turbo is basically the same game as Street Fighter II, but has a "turbo" option at the title screen which allows you to speed up gameplay up to five stars. This game (when maxed out on turbo speed) is the fastest of the three, and has 12 playable characters: the original 8 plus 4 boss characters including Balrog, Vega, Sagat and M. Bison. SUPER Street Fighter II improves the game even further, and is the most well rounded and critically acclaimed of the three. The speed isn't adjustable as in the Turbo Edition, but is considerably faster paced than the original (but not quite as fast paced as the Turbo Edition maxed out at full speed). The game has the 12 characters from Turbo Edition, plus 4 new characters- Dee Jay, Cammy, T. Hawk and Fei Long. The game also adds some new moves for several characters, including some which differentiate Ryu and Ken. The Wii U VC no longer matters to me....Re-releasing already available titles on the Wii VC isn't exactly exciting. Been there, played that, whatever. Earthbound Marks the first new VC release, still waiting for the next! Mario Paint, Castlevania: Bloodlines, Mega Man 6,7, Gargoyles Quest II, TMNT III: The Manhatten Project, Mega Man X3 ect ect. Also, Ninja gaiden II rocked! It's only downside is the Ryu 'Ninja orange soda' clone item....it can really get in the way of gameplay, and makes for one confusing Hyabusa monster mess! Stage 3-1 was amazing! Love this particular 8-bit Ninja track. I don't think we have anything to complain about personally. At least the Wii U HAS backwards compatibility- something that Sony and MS could take notes on. The Wii BC is exactly like having a Wii built into your Wii U- nothing more, nothing less. The Wii designated 512mb of space for channels- anything more had to be put on SD card. Same applies for the Wii OS environment on Wii U. 512mb held ALOT of games for me, but if it's not enough, can't you just move them to SD? I have over 100 Wii VC games, many of them the larger files of N64 games, and they still all fit on an 8gb card. Wii U is compatible with up to 32gb cards, which sell for less than $20 now. I'd recommend getting a 16gb or 32gb card, and you'll never have to worry about space again. Dude, I have both games in their original cartridges and on the VC. SSF2 has turbo by doing what I explained earlier. 'Nuff said. You know, I've tried a hundred times to move around files on the Wii U, but it never worked for me until I used the stylus and let it hover over the icon without moving instead of trying to move it immediately. Sometimes it's the simplest little things that make the difference. Thanks for pointing that out. On the Wii, you grab an icon/channel with A+B. Easy-peezy. Having to play a puzzle game in and of itself to manage files between the on-board Wii memory and SD cards was a pain when the Wii was in its heyday, and it's a pain now that Nintendo could have fixed. At the very least, Nintendo could have given the Wii emulator access to some of that extra flash memory sitting right there. Why should I have to invest in an extra SD card when I already have more space on the same console? That money could be applied toward more actual games. Equally frustrating is the way the Wii shop is a separate entity from the Wii U shop, even though it's all right there on the same console. I'm so thankful Nintendo made the common sense decision to allow us to pay exact price for games instead of having to buy them in specific $5/$10/$20 increments, but it's another thing that makes the Wii Shop issues all the more glaring. If Nintendo would have just combined the two and/or updated the Wii Shop to let you pay the exact price of the game you want, I'd be quicker to invest in more games. I can't stand having unused points just sitting there. Having backwards compatibility is great and all, but that doesn't mean that Nintendo's solution toward it is above criticism because the competition is going without it. I may get SSFII as I had the cart and played it a lot. And if I decide to get another SF, I would actually pick The World Warrior, as it is the first port of SFII on a home console. I see your point, but I guess I'm just an optimist. There's always stuff that could be better, but I just choose to see the bright side of things. Bright side being, an 8gb card is less than $10, and me personally, I just move all my games to SD so they're not mixed and matched between the Wii menu and SD. Yes, the BC could have been better, but it could have been worse too, right? Easy does it friend. You're right, my mistake. It's easy to get confused with all the different versions there are, and it's been like 15 years since I played them. Decent week, especially with the fact virtues last reward is on here, i might go ahead and get it later. Does the top speed in Super equal that of the top speed in Turbo? The original version and especially turbo were two of my most played SNES games...Yet by the time Super was released i was officially burnt out on SF. I didn't give a booger pizza about the addition of Cammie, Felong, T.Hawk and DJ. Didn't enjoy playing as any of them. I think it's a safe call on this one, turbo it tis' Ahem, i mean...On my Wii VC. @Captain_Gonru - Yes, you could always move Wii tiles w/ A+B on the Wii using the Wiimote. I don't know about the Wii U, I've only had it 10 days, but using the stylus method is weird after 6 years of the A+B button combo. I'm not sure how the Wii within the Wii U works. Well besides not to my liking, but I hate everything. Anybody know if that infamous save glitch for the Zero Escape still exists? Did they update it or something? #84 WaveBoy I totall agree with you. I´m not excited to see all the same games that we have years ago in the Wii in Wii U. I´m a VC lover but only Wii and 3DS because the Wii U VC is a dissapointment. Even if the Wii doesn´t has discounts I preffered it because it has more than NES and SNES games that are very difficult to get in another way (In Mexico its impossible to get a Turbografx or a NeoGeo). I'm disappointed that Nintendo isn't focusing on the Wii U VC. It's dead. I feel Nintendo needs to do something new besides recycle games that I can already buy from the Wii Shop Channel. Which is already accessible on the Wii U. GBA and DS games would be nice. The official Aksys Games Facebook says "The save glitch in the PEC room has been addressed in the eShop version." Also, if you're going to get it digital, you better do it quick. Aksys' website says "Get Zero Escape: Virtue’s Last Reward for only $24.99 from now until September 3, 2013!" Nice deal indeed hope they keep these kind of deals up ~! I wish we'd see something not previously released in some form a half-dozen times. I know Dreamcast isn't on the Wii U VC roster (heck, right now only NES & SNES are), but if an old Street Fighter title is going to be released, how about something that's only seen the light of day once: Street Fighter III: Double Impact (New Generation & 2nd Impact). In the absence of many releases and much excitement, it might generate more interest in Wii U to see more than the same old titles. Look at all the excitement EarthBound generated! Wii U needs more of that, but releasing the same old same old all the time isn't going to do it. There must be 5 or 6 versions of SF II already in Wii VC. Nothing is going to change for Wii U if Nintendo refuses to do any more than the status quo, and I consider these re-releases of games already on Wii VC (and 3DS VC) to be status quo. @burninmylight You are awesome, I've played the Wii for years and had resolved that moving channel tiles was impossible. You've made my day in proving me wrong. But yeah I figured out how to move Wii U tiles pretty quickly. You can actually just use your finger holding down the tile for about two seconds until it unlocks. @WaveBoy: The Ninja Gaiden II 3-2 Theme is one of my favorite Ninja Gaiden, if not overall NES songs. The only problem is it is to short. As for Street Fighter II, I think I am going to pick up Turbo and Super. I prefer Turbo more but Super is different enough. Plus, I want to support Capcom on the Wii U VC and also support the sales when available. With Turbo you can go up to 10 stars with the code and Super you can only go to like 3 or 4 so Turbo is definitely faster. Don't you miss codes at the beginning of games? I wonder what is going to become of the Wii U VC? No signs of Konami yet and who knows about other systems beyond the NES and SNES (which is what really matters anyway) and GBA. @JaxonH Super Street Fighter II it is for me then. @Alshain01 Expect to see Zelda related VC games on Wii U in the run up to Wind Waker's release.... They will use their classics to market their newer titles. guarantee it.... a link to the past will come out just before the new 3DS sequel, etc. Wario Land 3 is coming next week, so I think that Recca or SMB3 will come out the following week, and the other one of those two the week after that. I have no issue with one Virtual Console release a week, even if it's bad. As long as they don't release nothing but terrible VC games two months in a row, I'd be fine. I don't honestly care about Star Soldier, Blaster Master, or Trip World. River City Ransom and Solomon's Key, though... We don't want Nintendo to burn through their entire NES Game Selection, so it's best to wait for the games a couple of weeks than whine when they're coming. @Luigifan141 It's Virtual Console. They mean no NEW Street Fighter games on the Wii U. @Obito_Tennyson SNES games are never coming to the 3DS. Ever tried playing with the D-pad & and the L button at the same time? @Rockman_Onion The D-pad and the L button at the same time? You do realize that the Wii U has the same exact button layout as the 3DS only bigger and more spread apart, right? If you could do it on the Wii U, then it's a million times easier to use it on the 3DS. By the way, there is a Circle Pad.